Johnson & Johnson submitted five Phase 3 studies on the drug: three-short term studies, one maintenance study, and a long-term safety study. Two of those turned up positive results. One was a randomized trial in adults under age 65 with treatment-resistant depression who were started on an oral antidepressant and intranasal esketamine. After a month, roughly 70 percent of patients who received the treatment responded compared to just over half in a placebo group. The researchers considered an improvement of 50 percent or more on a common depression rating scale as a successful response. How was ketamine for depression discovered? In recent years, there has been a surge of information on the uses of ketamine for the treatment of depression. Ketamine is an anesthetic which has been on the market since the 1960s. Ketamine was introduced into clinical practice as an anesthetic that reliably brought about sedation for surgical purposes with little effect on respiration or the circulatory system. The name “ketamine” derives from two of the molecules found in ketamine’s molecular structure: a ketone and an amine. It was first suggested in 2000 that ketamine may have antidepressant effects in humans. The suggestion was based on animal studies of depression showing that a neurotransmitter called glutamate was dysfunctional in depression. Other studies showed that NMDA, a drug that binds to glutamate receptors, relieved depression in humans. This led to the “glutamate hypothesis” about the origins of depression. Ketamine was known to bind to glutamate receptors. Is Ketamine for depression FDA approved? Ketamine treatment for depression is an off-label treatment. This means that although Ketamine is an FDA approved drug for anesthesia, and has passed the FDA’s rigorous safety testing process for this purpose, the FDA has not approved the use of ketamine for depression. Physicians, however, are authorized to prescribe a medicine to treat other conditions based on clinical judgment and professional evidence. Of note, Ketamine is given in smaller doses for the treatment of depression than are typically used in anesthesia. Studies show that approximately 3 out of 4 patients will have a positive response to ketamine treatment for depression. Simply call our office at 212-335-0236. Alternatively, you can book an appointment online at ZocDoc: https://www.zocdoc.com/doctor/ziv-cohen-md-40226. You do not need a referral from a psychiatrist, since Principium Psychiatry is psychiatrist led by our medical director, Ziv Cohen, MD, a Fellow of the American Psychiatric Association. Dr. Cohen will do a comprehensive assessment and provide you with a diagnosis and recommendations, including whether you are appropriate for Ketamine treatment. Ketamine is given in small doses for the treatment of depression. As such, a typical side effect is mild sedation. Some patients complain of mild nausea, which is easily treated with anti-anxiety medication. Some patients have mild elevations or reductions in blood pressure. Dr. Cohen will discuss with you side effects in detail during your consultation. The typical treatment course involves 6 infusions, which are given 2 to 3 times per week (for a period of 2-3 weeks). In some cases, further infusions are given during the initial course. Is the treatment done in a hospital or private office? At Principium Psychiatry, we offer Ketamine infusions in our private, comfortably appointed office located off Columbus Circle and Central Park South in the heart of New York City. We are located directly across the street from Carnegie Hall. What happens during an infusion? During the infusion, a multidisciplinary team will be present, including a registered nurse and a psychiatrist or psychiatric nurse practitioner. Your blood pressure, heart rate, and blood oxygen levels will be measured continuously during the infusion. The team will be closely monitoring you. You will be free to engage in conversation, close your eyes and relax, or listen to calming music. You will not fall asleep during the treatment. Can I resume normal activities after a Ketamine infusion? Ketamine is rapidly metabolized. Within ten to fifteen minutes after the infusion you will feel substantially more alert. Patients generally report that a full recovery to normal activities takes about 1 hour. There is some individual variation in responses to ketamine. What happens after I finish my treatment course? After you finish your initial course of 6 or more infusions, you and the treatment team will make a plan for follow up care. Some patients will return for further infusions on an as needed basis (typically several months or more after the initial course), while other patients with particularly severe symptoms will be placed on a regular maintenance treatment schedule (typically monthly infusions). Is Ketamine safe for me if I am taking antidepressants? Yes, Ketamine is safe to administer with most medications. No, administered at small doses in a medical setting, there is no evidence that Ketamine is addictive. In contrast, those who abuse ketamine recreationally do so at very high doses to induce psycho-active affects. If I have already had TMS or ECT without benefit, could Ketamine still help me? Yes, clinical experience supports that Ketamine can be effective for patients with treatment resistant depression, including those who have already tried ECT and TMS without benefit. I am considering TMS in addition to Ketamine. Which do you recommend? At Principium Psychiatry, we offer both TMS and Ketamine treatment. We offer a detailed comparison of the two treatments in our blog: https://principiumpsychiatry.com/ketamine-vs-tms-which-treatment-is-best-for-me/. You will also find additional useful information about ketamine and TMS on our blog. Are there medical conditions which prevent me from receiving ketamine for depression? In general, ketamine is safe for patients with a variety of health conditions. If there is a concern about your cardiovascular health, we may refer you for a check up to make sure you are able to receive ketamine treatments. Is IV Ketamine effective for anxiety? While still in preliminary studies, there has been scientific evidence showing that IV infusions of ketamine can be effective in treating generalized anxiety disorder and social anxiety disorder. Our team at Principium Psychiatry has treated many patients who, in addition to having depression, also have varying degrees of anxiety. Throughout their infusion protocols, we have found that not only do their depressive symptoms improve, but so does their anxiety. Why do you use an IV infusion for Ketamine treatments? IV is the best route for your brain to receive ketamine because of something called bioavailability. In addition, it is also more effective, more precise, and safer for you. When we give ketamine intravenously, we know exactly where your entire dose is going: straight to your brain. The same cannot be said for other forms of ketamine. 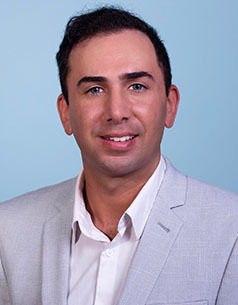 Dr. Ziv E. Cohen is a Weill Cornell-affiliated and board-certified psychiatrist with extensive experience treating mood disorders, trauma, PTSD, and a variety of other disorders. His experience lies with individuals across the lifecycle, including adolescents and adults. 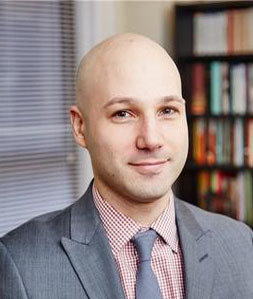 Dr. Cohen is also Clinical Assistant Professor of Psychiatry at Weill Cornell Medical College of Cornell University, and on the medical staff of New York Presbyterian Hospital, both in New York City. 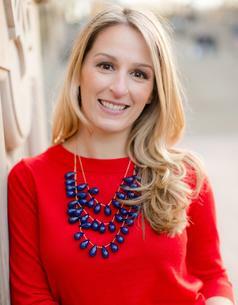 Sarah Delaney is a Yale-trained psychiatric nurse practitioner. In New York State, psychiatric nurse practitioners are fully licensed psychopharmacologists. She is a skilled practitioner and is on staff at the Columbia University outpatient psychiatric department. In her private practice, she treats a variety of conditions with the most current and comprehensive regimens. Ms. Delaney received her undergraduate and master’s degrees at Yale University. Ms. Delaney works with children, adolescents, and adults to address a wide range of social, emotional, and behavioral issues.